The ASEM Education and Research Hub for Lifelong Learning (ASEM LLL Hub) is an official network for university cooperation in Lifelong Learning Research between Asia and Europe. The ASEM Education and Research Hub for Lifelong Learning (ASEM LLL Hub), Danish School of Education, Aarhus University, Denmark and the Philippine Normal University (PNU), invite you to submit your abstracts for paper presentations to the 1st International Conference of European and Asian Researchers and Educators on Lifelong Learning for Sustainable Development (I-CEARE 2017). 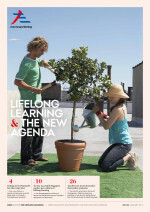 The Research Network on Workplace Learning (RN2) has directed its attention to the task of decoding working places in Asia and Europe as lifelong learning spaces. Workplaces encompass not just companies and public services, but also a wide range of organisational and social contexts, including non-profit--making NGOs and voluntary work, as well as diverse forms of self-employment, sometimes under irregular and precarious conditions. They offer very different kinds of learning opportunities: some are learning-conducive, others are less so; some provide structured work -related education and training for employees, whereas in others, learning is integrated into the flow of working processes. 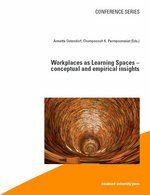 Learning spaces are constructed through the interplay of workplace structures and practices with formal, non -formal and informal learning. They provide a framework for understanding how opportunities for lifelong learning, including professional and personal development at work, are distributed, structured, experienced and used. Through exchange of information, workshop discussions and joint studies of how workplace learning is provided, practised and understood in Asian and European countries, RN2 is building up a shared body of knowledge that is empirically based, contextualised and theoretically informed. 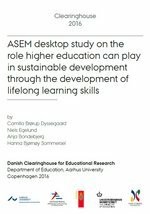 The ASEM Desktop Study was commissioned by the ASEM Education and Research Hub for Lifelong Learning (ASEM LLL Hub) and was conducted by Danish Clearinghouse for Educa-tional Research. The aim of this ASEM Desktop Study was to find relevant research literature about the role higher education plays in relation to lifelong learning and sustainable development in Asia. In a later report, the intention is to perform a comparative analysis of how selected countries in Asia and Europe work to promote lifelong learning in relation to ESD. The ASEM Forum on Lifelong Learning gave a fresh contribution to the discussion about how to define 21st century competencies. On the basis of this Forum, the ASEM LLL Hub Secretariat has made the following recommendations: 21st century competencies should enable us to master interdisciplinary approaches for creative problem solving in specific contexts. Success thus requires respect for learning cultures. 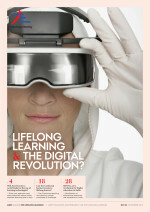 Across the ASEM countries and across different learning cultures, there appears to be an established consensus on the need for investment in ICT pedagogy, on what is adult educators core competencies, and on a concerted effort to identify which competencies future lifelong learner must be able to acquire by using digital technologies. The objective with Policy Briefs is to deliver research-informed analysis and recommendations on new policies for the benefit of ASEM members, governments and stakeholders. 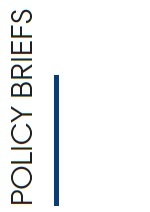 Policy Briefs are designed by the ASEM LLL Hub members on the basis of their research and based on national or international policies in lifelong learning. Members of ASEM LLL Hub RN1 have published the the above book on MOOCs. KNOU (Korea National Open University) Press, 2015. Members of ASEM LLL Hub RN4 have published the the above report on early school leavers. The report is free for download here. The Final Report from the ASEM LLL Hub meeting - Self-learning in a Digital Era is now ready for download. Below you will find the link to the events' webpage that also contains all of the presentations, photos, summaries, etc. Please see more here. 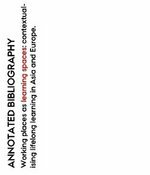 ANNOTATED BIBLIOGRAPHY "WORKING PLACES AS LEARNING SPACES: CONTEXTUALISING LIFELONG LEARNING IN ASIA AND EUROPE"
This annotated bibliography has been developed for the second comparative study of the ASEM LLL Hub Research Network 2: “Working places as learning spaces: contextualizing lifelong learning in Asia and Europe”. The study will focus on how employees in selected occupations understand and use their working environments as contexts and opportunities for learning in, at and through work in Asia and Europe – that is, learning that takes place as an integrated dimension of everyday working life. Researchers from 13 different countries in Asia and Europe and with different disciplinary backgrounds are currently working together on contextualizing lifelong learning. Read more here. The ASEM Forum on Lifelong Learning gave a fresh impetus for renewing the agenda for lifelong learning. On the basis of this Forum, the ASEM LLL Hub Secretariat has made the following recommendations: states that want to get on the developmental ladder must invest in education, while maintaining a healthy scepticism with regard to the hype surrounding ICT-driven educational strategies and focusing instead on creating a resilient culture of lifelong learning by having a clear focus on formative and more process-oriented assessment. Read more here. 'Hardly ever before has the demand for educational solutions been so big. At the beginning of the 21st century there is a global demand for research-based recommendations for lifelong learning strategies. The expectations are high, if not enormous. The strategies are expected to contribute to a win-win-situation, i.e. they should solve both humanistic and economic problems for all and at the same time. This is a challenge, which we have to work together to solve'.